Getting a home was a dream come true. Getting a HELOC shouldn’t be a nightmare. We make it easy with our Positively Different Home Equity Line of Credit. Maybe you’ve been thinking about remodeling your kitchen or bathroom or both. Or perhaps building that patio deck you’ve always wanted. Whatever you have in mind, we make it easy to get the most out of your home. Like a Home Equity Loan, a HELOC uses your home to secure cash for your next big purchase. But instead of receiving a lump sum upon approval, with a HELOC, you are pre-approved for a set amount to withdraw and use as you see fit. Easy access to funds as you need them. Pay interest on only what you use. Let’s talk about how The Coop team can help you make your next dream come true. Designed to be in 1st- or 2nd-lien position, this fixed-rate loan allows you to take equity out of a home you already own. 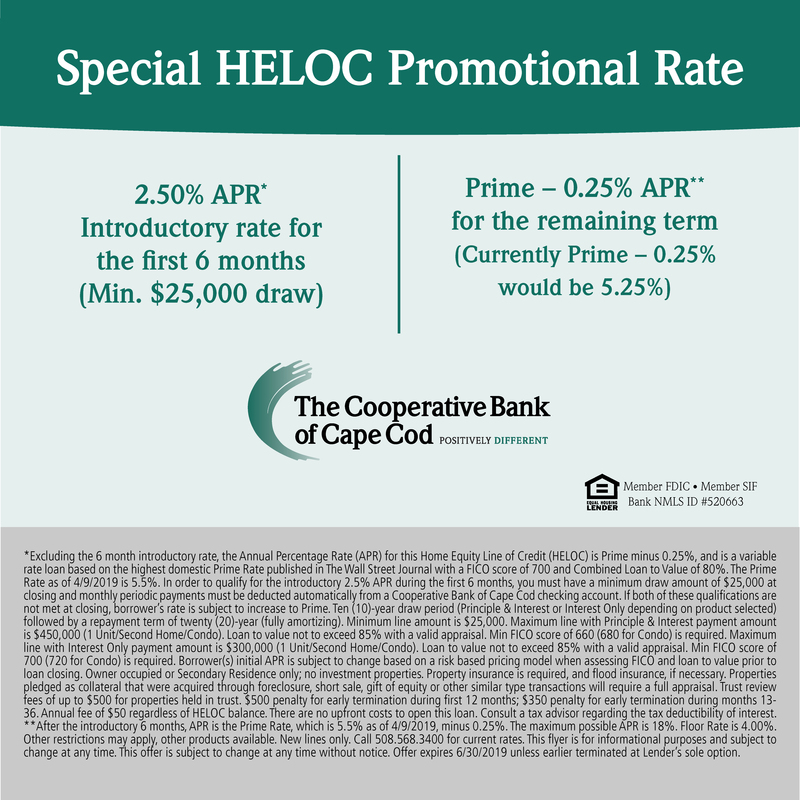 Put your home to work for you with a home equity loan through The Cooperative Bank of Cape Cod. You can use the equity you have in your home to secure low interest financing on a loan to use for your next big purchase. Whether you’re planning a trip, paying for your daughter’s wedding, or looking to pay off your credit cards, a home equity loan can provide you with the funds you need. Make your home sweet home even sweeter with a home improvement loan from The Cooperative Bank of Cape Cod. We offer affordable loans to help you pay for that new roof, heating system, or porch. With our competitive interest rates and various term options, you can start that project today and get low payments that won’t hurt your monthly budget. 1Consult with your tax advisor. Looking for more info, or a different type of loan?